On a new SAP HANA system, if you launch BRFPlus or BRF+ transaction code and you got an error message displayed on the web browser, there are probably some services waiting to be activated using SICF transaction for successfully starting BRF Plus on your SAP HANA system. For example, recently I got HTTP 500 internal server error when I called BRFPlus (or BRF+) tcode for BRF Plus functionality on our new SAP HANA system. First of all launch SICF transaction. 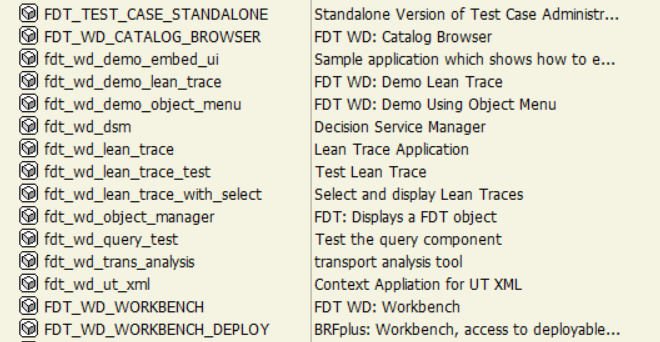 Check that you have activated services names starting with "FDT_"
After activating FDT services on SICF transaction, right click on FDT_WD_WORKBENCH and test this BRFPlus tcode service. If you still have an error on web browser and cannot see error details, you can simply run the service URL on another web browser like Firefox, etc. Some browsers simply show more details about the errors occurred without any configuration changes. ABAP developers or SAP professionals with required authorizations can easily activate /sap/public/bc/icons service on SICF transaction. Of course, if you have a very new SAP HANA system, probably most of the required services are not yet actived on SICF. By try and fail approach, I got a number of messages activated each time a new service on SICF. 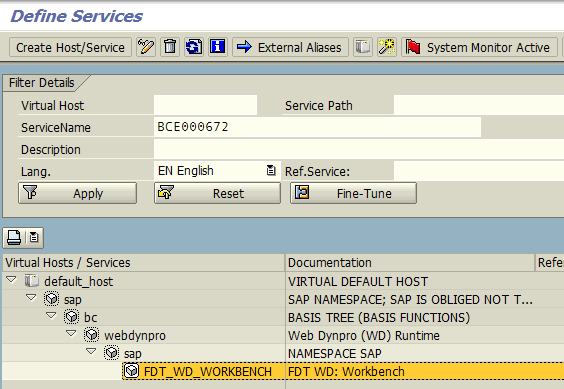 Similarly /sap/public/bc/webicons ICF service node should be activated before.